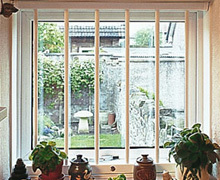 Removable window bars are an ideal solution for domestic and commercial applications where removal of the security bars is occasionally required. 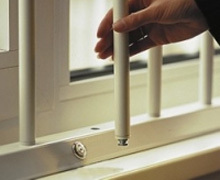 Our removable security window bars are tough powder coated anti-cut steel bars fitted vertically or horizontally supplied in white as standard for internal fitting. These are locked in place on the inside of windows using strong extruded aluminium retaining units yet can be released quickly from the inside to allow total vision or maintenance of windows. Supplied as standard in white though can be powder coated in a range of other colours if required. View available colours here (ring for a personalised quote based on your colour choice). When measuring it is important to check the reveal is straight and level to avoid the mechanism sticking. Packing strips are available to assist with this - let us know when ordering. Spreader bars are used to reduce the deflection on taller installations and ease removal of the bars. Two rows of spreader bars are required on all bar heights above 1500mm. Each bar consists of a 19mm steel outer tube with free moving 15mm steel inner tube. The bars are locked in place using a high security 10 pin radial camlock with 5 million + key combinations. The maximum number of systems that can be keyed alike is 20. The system is designed to fit as close as possible to the window frame, this will avoid any cavity for dust and dirt to collect in. The top and bottom fitments can be placed up to the window and the fixing positions marked with a pencil, the retaining units can then be removed and the appropriate holes drilled. 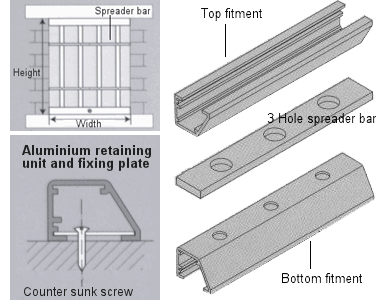 The minimum recommended fixing is 10 x 2" (50mm) countersunk wood screws. 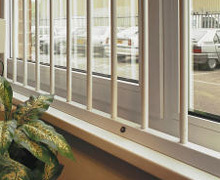 We also have alternative window or door security bars and mesh grilles available such as a fixed bar option, click here for more information. 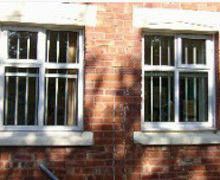 security grilles and security shutters for doors and windows or UK fitting service. Bacchus House, Calleva Park, Aldermaston, Reading, Berkshire RG7 8EN. Installed or DIY roller shutters for home or businesses Reading, Newbury, Maidenhead, Bracknell, Basingstoke, Windsor, Ascot.